It seems like every man and his dog is trying to jump aboard the YouTube bandwagon, but having video creation as part of your repertoire is actually a super important skill for travel bloggers. Even if you’re not a blogger and just want a lovely way to remember your travels, making videos can be fun. But one thing we've found is there is often a steep learning curve. Many video creator programs can be very confusing, especially if you haven’t studied movie-making! Luckily there are some easy-to-use programs out there, like the Movavi Video Editor. We've been using this affordable and intuitive programme and loving it, so we wanted to share what makes it so great. 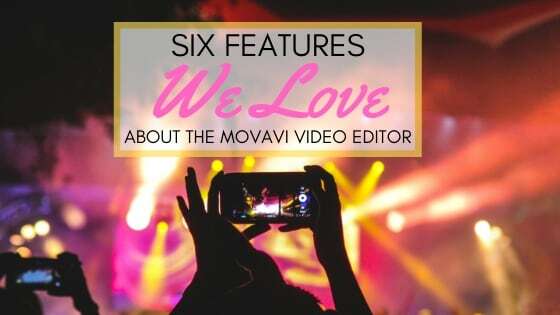 These are our 6 features we love about the Movavi video editor. The Fun Effects, Stickers and Filters! One of the great things about the Movavi video editor is that it’s totally free to download and use the trial version for up to a week. This allows you to get acquainted with the software before deciding if you really want to fork out the cash for the full version. We recommend using this time to play around with the editor as much as possible so that you can see the sort of things you can do with it. Downloading the Movavi editor from the website is super easy. It works on both Mac and PC, and as soon as you’ve downloaded it, you can start exploring the interface, which is very user friendly. When you open up the editor, you’ll have the option to start a new project from scratch or continue with a recent one. 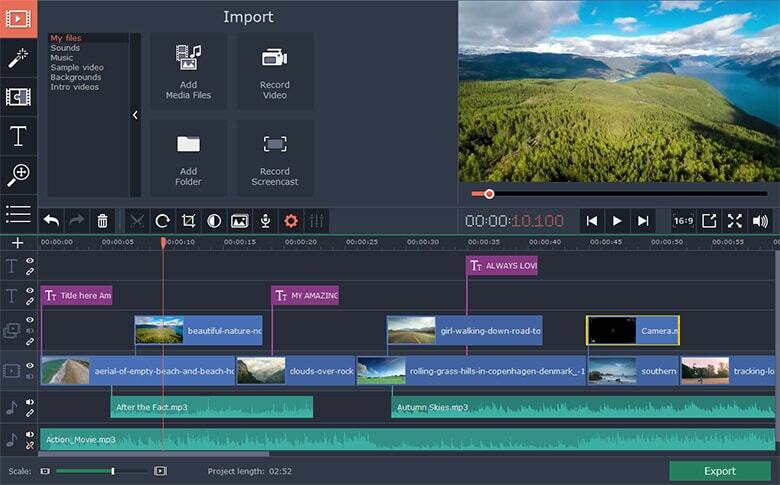 One of the features we love here is that you can do everything yourself from the beginning, or choose the ‘Quick Video’, which will create a montage of the clips you've uploaded. No matter how you begin, Movavi is very easy to navigate and all the effects are easily added to your project with a simple drag and drop. This includes effects and transitions to add between your clips/photos as well as music, stickers, introduction text and more. You don’t need to go trawling through the internet to find tutorials to use Movavi either, they have a very thorough and clear guide on their website showing you how to use all the features included in the editor. To access this, just click on the “Help” tab in the video editor, then select the first option: “User Manual”. We particularly love all the fun ways you can spice up your projects by adding in transitions or editing your video/pictures with filters and effects like blur or the bokeh effect. There are also templates for cool introductions and ending slides as well as the ability to easily add text throughout your project. you can add animations to your images or animate the stickers you include. there are sound effects included if you want to add sounds, such as an applause, to your work, or different music tracks. While there are a lot of basic options for free (with your trial and/or main purchase) there is also the option to add even more content specific to your needs for a reasonable price. You only need to pay a small amount to download one or more of Movavi’s extra packs which include extra themed items such as titles, stickers, transitions, backgrounds and sound files. Our favourite is definitely the travel set which has gorgeous travel-themed artwork and even special travel transitions, like a small flying aeroplane in between your shots. If you look at the Movavi Effects Store you can see different sets for all sorts of purposes and events, such as Valentine’s Day, Christmas, weddings and family themes. In Movavi it is really easy to convert, save and upload your finished films, depending on what you are using them for. There are 180 different formats to choose from when you are ready to save your project. For example you can choose MP4, AVI or WMV format, as well as saving to a DVD-compatible disc or even export in Full HD or 4K Ultra HD. It’s also possible to upload your finished file directly to YouTube. As well as the different conversion options, Movavi converts everything extremely quickly, which is a breath of fresh air as this can take forever on other video editors we've used. In addition, the conversion tool does the conversion whilst preserving the quality of your images. There is even the option to do batch conversions so that you can convert several files at the same time. Even with all the included effects and the packs available for purchase, there are even more advanced options when using Movavi, especially if you're planning to create a lot of videos. For example, you can easily slow down the speed of individual clips by just right-clicking on them, choosing the tools option, then selecting “slow motion”. You can also record your screen using Movavi, which is perfect for anyone filming a tutorial for something on their computer. Another one of the advanced features we love is the ability to record audio to use for voice-over purposes. We love using this feature to create an introduction to a destination travel video. Movavi also has a large royalty-free library of stock footage and music that you can subscribe to. When we were using Movavi to create videos from our old cameras in our earlier years of travelling (where the quality of footage wasn't that great! ), the royalty-free library was so useful for “topping up” our videos when either we didn't have the shots we wanted, or the ones we had were poor quality. Although these are paid subscription features, they are very affordable, especially if you will be using them often. See more from our travel videos on our YouTube channel.